This article first appeared in City & Country, The Edge Malaysia Weekly, on September 25, 2017 - October 01, 2017. Vision City, a 50-acre mixed-used development that will see its first launch soon, is set to transform Nilai in Negeri Sembilan. The freehold project in Nilai Town Centre will be jointly developed by GD Development Sdn Bhd and Foshan Jin Ying Real Estate Co Ltd, China. Comprising four phases to be built over 8 to 10 years, it will have a gross development value of over RM10 billion. The idea behind Vision City is to bring Nilai — about an hour’s drive from Petaling Jaya — onto the international platform, says managing director Huan Woon Han. The concept and components of the development bear many similarities to the government’s Malaysian Vision Valley (MVV) project, which aims to promote Nilai as a business district, education hub and tourist area. Although it is not part of MVV, Huan says Vision City can be considered the “frontier” of MVV. 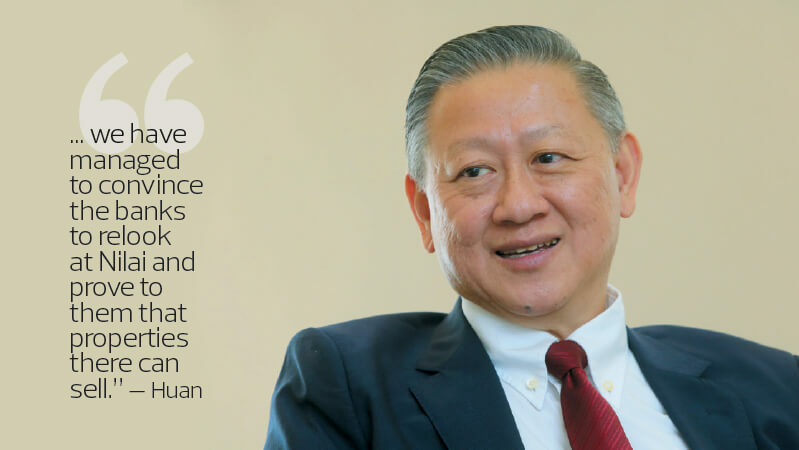 “It is a coincidence that our concepts are similar and the menteri besar took a special interest in our project and personally approved it, including the English name, Vision City,” Huan says. Nilai was a favourite of property investors before the Asian financial crisis hit in 1997, but it still has a lot of potential. 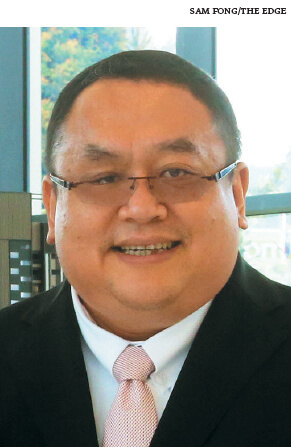 GD Development founder and chairman Datuk Seri David Yeat realised the area’s promise when he started looking at opportunities in the sector in 2009. “The location is key. Nilai is near the international airport, which is about 15 minutes away, while Putrajaya is about a 15 to 20-minute drive. Nilai is already an education hub with more than 36 educational institutions,” says Huan. “The best part is, it is accessible via six highways.” These are the North-South Expressway, New Klang Valley Expressway, Maju Expressway, South Klang Valley Expressway, Kajang-Seremban Highway and Damansara-Puchong Expressway. The Asian financial crisis led to a surge in non-performing loans. Many buyers of Nilai properties were caught, which led to the area becoming blacklisted by the banks. The first phase of the development, Youth City, will be officially launched at the end of this month or early next month. It comprises four blocks of 3,021 serviced apartments, a clubhouse and a retail component on 7.88 acres. Two blocks with 1,500 units were opened for pre-booking last month, and more than 900 bookings have been received to date. The name was chosen as the idea is to retain young people and inject vibrancy into Nilai. Towards this aim, the units are affordably priced, starting at RM230,000, and come with facilities to suit the lifestyle of the younger generation. Buyers have three layouts to choose from — studio, 2-bedroom and 3-bedroom — with built-ups of 460 sq ft, 735 sq ft and 1,008 sq ft respectively. Facilities include a 150,000 sq ft clubhouse and themed rooftops — Terra Green, Terra Shore, Terra Farm and Terra Chill — to cater for different groups. 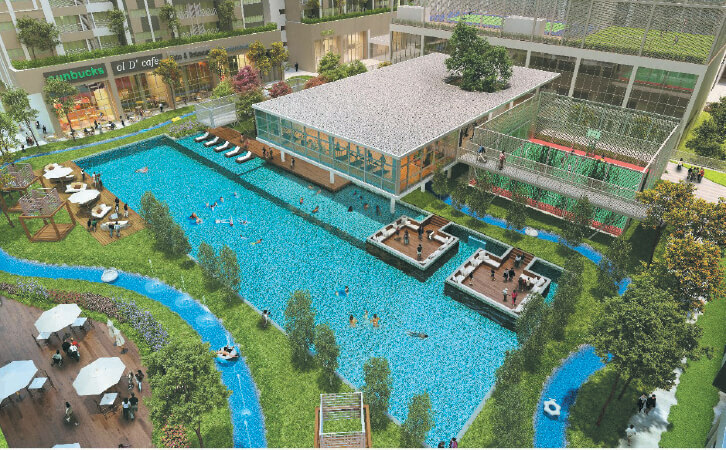 Terra Green will have a swimming pool with surrounding greenery while Terra Shore will boast a beach. Terra Farm is meant for those with green fingers while Terra Chill will be a place to relax and have a drink. Similar to Publika in Solaris Dutamas, Sri Hartamas, the retail component will be open to the public. However, security will not be compromised as access cards will be needed to enter the residential area while security guards will be stationed at the lift lobby leading to the serviced apartments. The clubhouse and car park will be retained and managed by the developer. Huan says these areas will be converted into private spaces to ensure they are well managed and maintained. “We will allow residents to use the car park free for three years. After that, it will be on a rental basis but we have promised them it will not be more than RM100 per month. As we have the retail component, we want to ensure ample parking space for visitors as well,” Huan says. To solve a common problem in high-rise buildings — water leakage, especially in the bathrooms — the developer will be bringing in a Japanese technology, the Syswo Modular Bathroom System. The modular toilets come in sets, each of which includes bathroom walls, roof, floor, all internal fittings, external water fittings and electricity circuits. The toilets use airplane wall fibre material, which does not retain moisture, ensuring bathroom surfaces and flooring remain dry. One set of the modular toilet will be provided for studio units, and two sets for the other layouts. Incubation centres and CO3 offices were initially planned for the mall beside Youth City, which is part of the second phase, but the developer is considering setting up these facilities in the clubhouse first instead of waiting for the mall to be completed. It will take up to four years for Youth City to be completed. 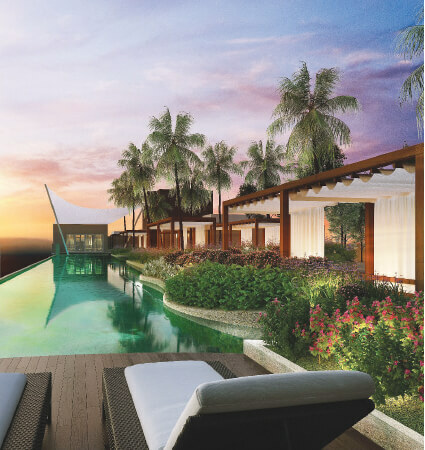 “We aim to complete it in 36 months because that would make our buyers very happy as they can move in sooner and enjoy the facilities,” says Huan. Phase 2 — comprising a mall, theme park, boutique and four-star hotels — will be the pulling force, to attract people to come, Huan says. The concept of the mall will mirror that of Shenzhen’s miniature world. The plan is to create a miniature Malaysia, bringing together the culture, food and traditional art of different states in one place. “There will be different streets in the mall. If the tourists go to the food street, they will be able to try out local food from different states. On another side, they will be able to see how local delicacies such as gula Melaka are made and make purchases. We are also planning to bring in cultural shows from Sabah and Sarawak to acquaint visitors with the different cultures in Malaysia,” Huan explains. As Nilai is near the airport, he sees Vision City as their first destination when they arrive, and the last stop before they depart. “Nilai will become a welcoming city, an introductory place. Then when they come back here, we will offer all sorts of facilities, such as a value-added tax refund counter to ensure their departure is hassle-free,” he says. The theme park will be part of the green area. According to Huan, it will be different from those in Sunway Lagoon or Genting Highlands. Rather, it will be a moderate-sized theme park where people can spend a relaxing three to four hours. To create more job opportunities and enhance Nilai’s image as a business district, the third phase will feature one of the country’s biggest trading exhibition centres with 1.5 million sq ft of net floor area (NFA), a building material mall with an NFA of 1.2 million to 1.4 million sq ft, and five-star hotels. The developer aims to attract huge international conferences. “We are so close to the airport and when people arrive, they would want to go someplace close by so that they don’t have to travel further,” Huan says. As for the building materials mall, he says 300 manufacturers in Foshan, China, have indicated their interest, and he is expecting a total of 500. “The Chinese government is encouraging them to go out and set up regional headquarters. They are very impressed with our concept,” he says. Upon completion of the third phase, Huan expects Nilai to attract international attention and sees a big increase in the population as well as visitors to Vision City. A growing population will lead to an increased demand for schools. So, the final phase of Vision City will comprise an education hub featuring international schools and colleges. GD Development has signed a memorandum of understanding with the Queensland State Education Department to use the Year 1 to 12 Australian syllabus for the international school to be constructed in this phase. “We are bringing in quality international syllabus to help reduce the brain-drain issue in the country. First, we want to retain the teachers here as they will be better paid in international schools. Also, this will increase the chances of our young people staying here to study,” Huan says. How has the area fared? According to Metro Homes Sdn Bhd director See Kok Loong, Nilai’s property market was doing well from 2009 to 2014, and was on a par with the rest of the country. “When the market softened in 2015, Nilai was no exception but because of the affordable prices, there was still demand. Also, Nilai is now an education hub and the student population supports the market,” he says. He opines that the Malaysia Vision Valley, similar to Cyberjaya, might take some time to materialise and mature. But as Vision City is a private initiative, there is more flexibility in terms of implementation. “If they can identify the niche market and do the pricing correctly, especially in the beginning stage, then it is possible for the development to succeed. On taking Nilai to an international platform, it might need more effort as most international players only recognise Kuala Lumpur, Penang and, possibly Johor due to Country Garden,” See says. GD Development’s maiden project is Green Beverly Hills in Nilai, comprising condominiums and bungalows, constructed over three phases. Construction is underway on its final phase, an affordable condominium project with five-star facilities called Residensi Lili. Launched last year, it offers more than 900 units with built-ups of 735 to 2,900 sq ft. Priced at an average of RM500 psf, less than 200 units remain unsold. The developer is moving into affordable homes and to differentiate itself from others, Huan says its projects will incorporate five-star facilities, such as gyms, club house and swimming pool. 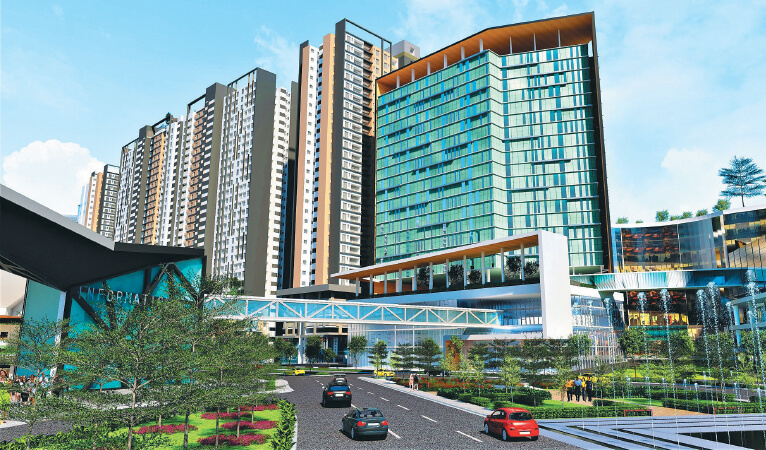 It aims to build 10,000 affordable homes in Nilai and Residensi Lili is its signature project. The developer has about 200 acres in Nilai and is looking to acquire an additional 600 to 1,000 acres in the next three to five years. It plans to expand outside Nilai in the future, but for now, it wants to establish itself as an expert in the area. For the moment, the focus is on completing Residensi Lili and starting the construction of Youth City. It will also be beefing up its team as the current workforce is barely enough to support ongoing projects. GD Development is part of GD Holdings, which has diverse business interests, among them, supplying organic food and medical herbs, providing security and armed guards, and import and distribution of fertilisers. Property, says Huan, is one of the group’s core businesses.